Sorry for the rotated video. But just watch the guy jump! 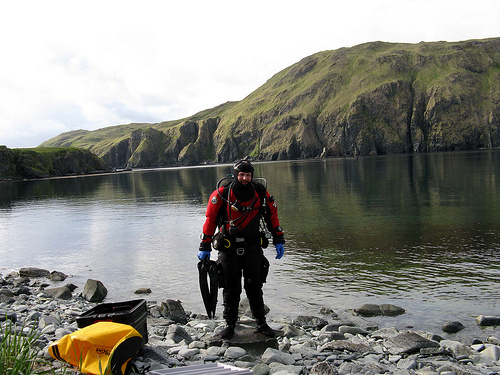 Back from a long hike there was no rest for the weary if I ever wanted to use my scuba gear in the Aleutain Islands. Margan helped stage me and get my tanks on. I may have been able to do it all myself, but I would have been way worn out by the time I got into the water. She also took this photo of me all suited up. This was my first time diving alone. I don’t suggest it, but I didn’t have a choice. 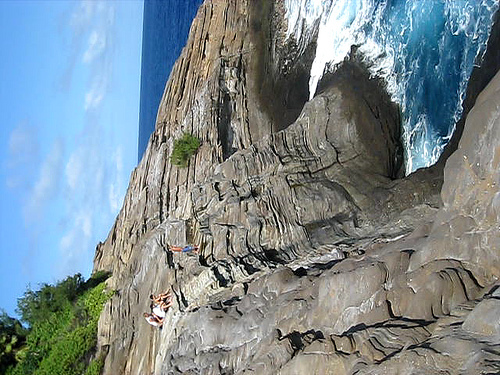 If you do end up doing this, make sure to stay above 30 feet as there is no way to get the bends from this depth.